One day she had a home...the next day she was homeless. After 7 years of living with a houseful of siblings, she was alone and scared. Her owner was a hoarder, with 37 cats. Perhaps Leah lost her eye because there wasn’t enough money for medical care. There were so many in need. 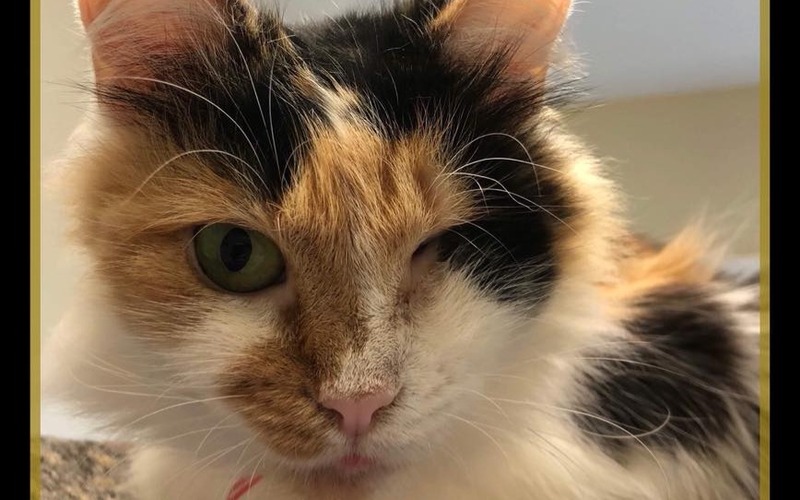 At the shelter, the cute kittens and perfect cats had a much better chance of being adopted than Leah did because she's missing her left eye. But she's just as lovable and adoptable as those cats who have both of their eyes. We knew we had to help her because she has a lot of life left. You helped make that possible. Leah is headed for a new chance at life.